Zelma “Zell” Sanders – who ran the fabled J & S, Scatt, Dice and Zell’s logos – was, by all accounts, quite a woman: a hardworking entrepreneur and formidable matriarch who controlled the artists she managed with the tough love of a strict parent, sometimes fining or sacking them on the spot if they broke her rules. Prior to entering the record business, she toiled by day as a security guard in Harlem, while by night she wrote songs and dreamed of becoming a rhythm & blues mogul. 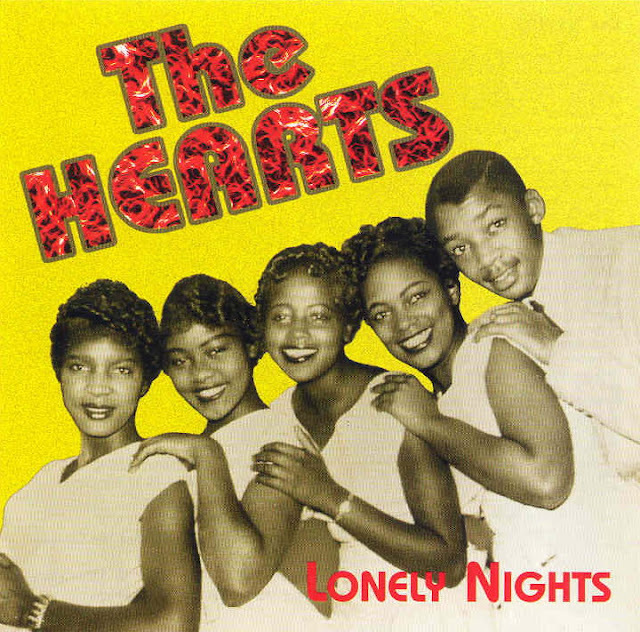 The Hearts consisted of Joyce James (lead singer), Joyce Peterson, Jeanette ‘Baby’ Washington, Rex Garvin and Louise Harris Murray (doing the talking part). 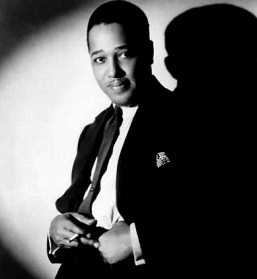 Washington, who joined The Hearts after “Lonely Nights”, went on to a successful single artist career. Garvin later wrote “Over The Mountain” for Johnny & Joe. Garvin remained involved with the group as their pianist, arranger, musical director and (in their own word) “maestro” through various personnel changes during the 1950s, later explaining that he did so “mainly to meet girls”. 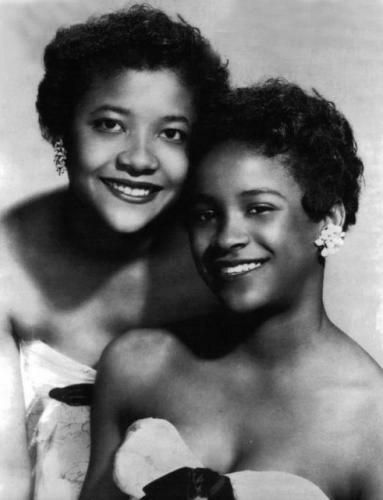 The group consisted of sisters Betty and Rosie Collins, sisters of Aaron Collins, a singer with the doo wop group The Cadets. It was Aaron who wrote their debut song [sic], and the single that became their biggest hit. 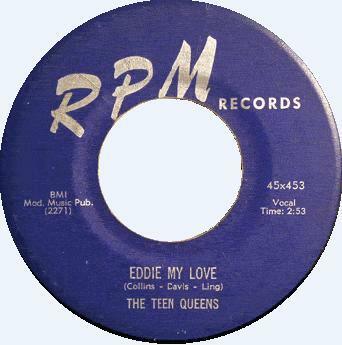 “Eddie My Love” was released by RPM Records, and following its success, was followed by a string of other releases. These included “Baby Mine”, “Billy Boy”, “Red Top”, “Rock Everybody” and “I Miss You”, but none of these achieved the success of their debut song. 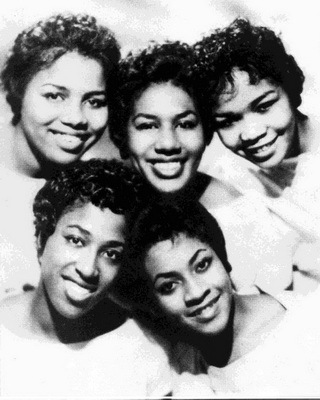 Arlene Smith (lead), Lois Harris (first tenor), Sonia Goring (second tenor), Jackie Landry (second alto), and Rene Minus began their musical journey in their preteens while attending choir practice at St. Anthony of Padua school in the Bronx. By 1957, they had been singing together for more than seven years. A staple of their diet was Gregorian chants taught to such perfection that changing notes and parts were second nature. The strength of the group apart from its vocal presence was the writing ability of lead singer Arlene Smith. 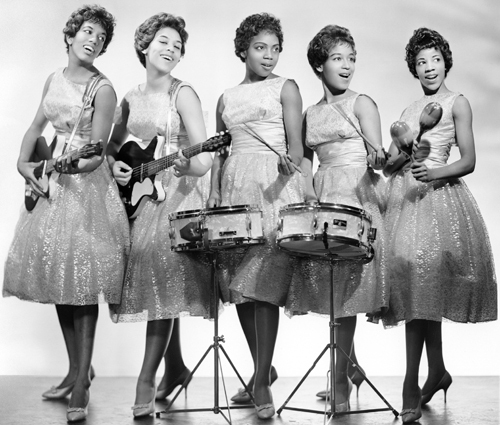 There weren’t many girl groups in the mid-50s and even less that wrote their own material. Arlene contributed both words and music, and the combination of her classical and gospel background with simple yet poignant lyrics made her more successful at sixteen then she could have possibly imagined. Her first song “He’s Gone” was written about a boyfriend while she was practicing piano. 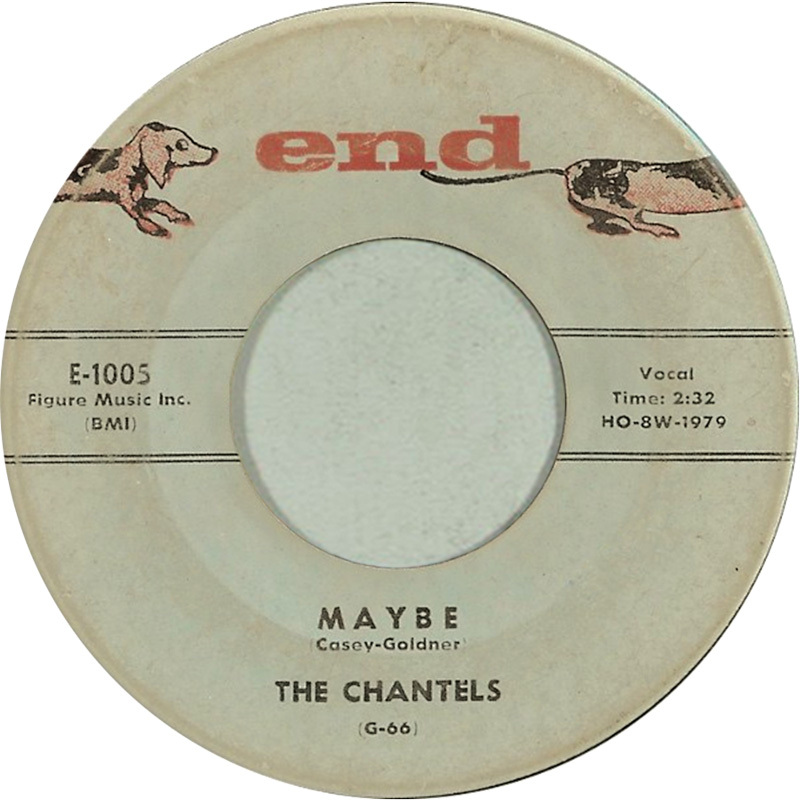 The Chantels’ first single “He’s Gone,” was released in August 1957. From the four part a capella chime harmony intro topped by Arlene’s floating falsetto to its duplicate ending, “He’s Gone” instantly set a new standard of quality for female group recording. By September 30, the record was on the Billboard national Top 100 charts but inexplicably stopped at number 71. This record charted only seven weeks after Bobbettes hit the top 100 with their first release “Mr. Lee.” Ironically, these two trend setting groups of the 50s only lived a few mile [sic] apart. 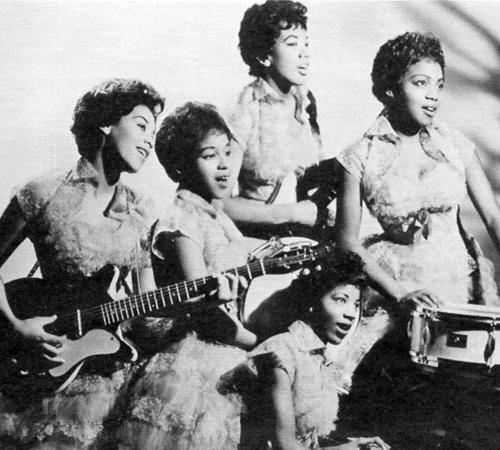 The Chantels by 1957 [sic], then in high school, had been a group for seven years. Unlike some black groups of their time, the quintet was under the influences of classical music and Latin hymns. The lead singer, Arlene Smith, had received classical training and performed at Carnegie Hall at age twelve. Smith provided the group with both lyrics and music. 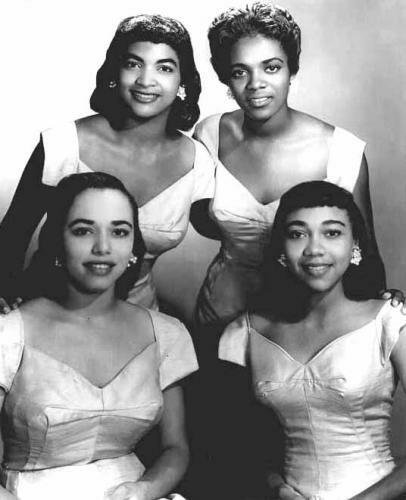 The girls were discovered by Richard Barrett, lead singer of The Valentines, and by summer 1957 signed to End Records, owned by George Goldner. 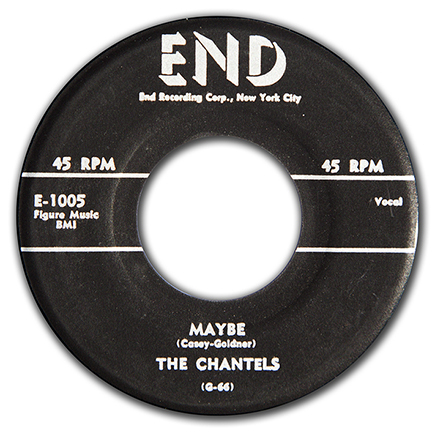 (above) The End Records label of the Chantels recording of Maybe credited the songwriting to “Casey-Goldner”. I’ve been unable to identify “Casey,” while “Goldner” is the owner of Gee and Roulette Records, George Goldner. At some point, reissues began to credit both Arlene Smith and Goldner. 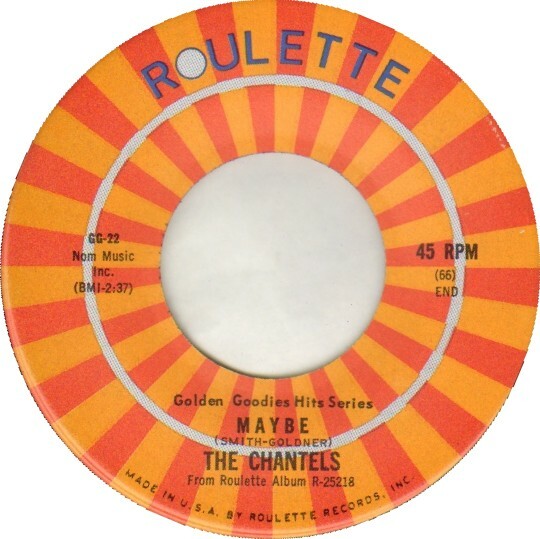 The Chantels — Issued on the End Records label in November 1957 as the 45 rpm single E-1005, b/w Come My Little Baby. 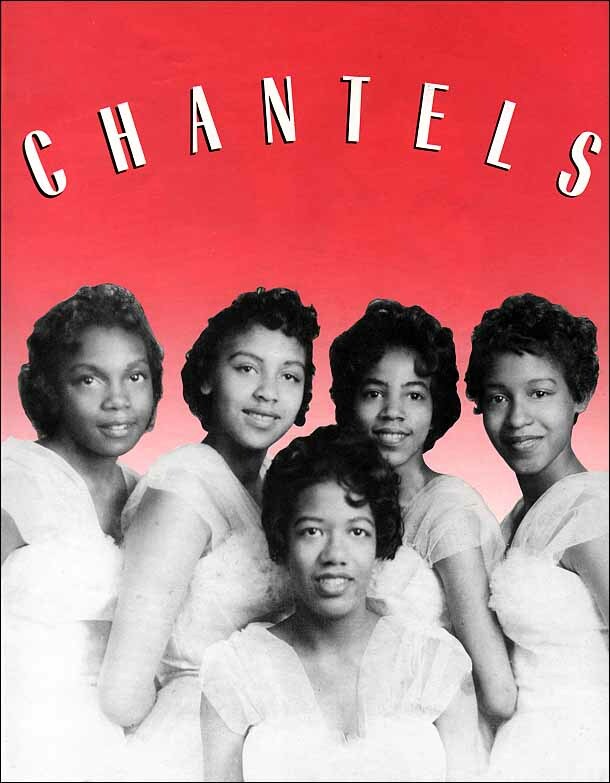 The Arlene Smith composition was recorded by the Chantels on 16 October 1957. It peaked in early 1958 at #15 in the Billboard pop singles chart and #2 R&B. Charting for 18 weeks, it peaked in early 1958 at #15 in the Billboard pop singles chart, and #2 R&B. I’m guessing that the recording in the first of the following two videos is the original single, because it’s length corresponds closely to that given on the End Records E-1005 label directly above, from 45cat.com. Of eight collected E-1005 “Maybe” labels representing multiple pressings, and multiple variants of some pressings, displayed at 45cat as of 21 October 2014, only this one (“2nd Pressing, variation A”) includes the time, given as 2:32. Despite a longer choral introduction, the recording in the first video is at least 12 seconds shorter than that in the second, with a briefer fade out. Although the membership changed from time to time over the history of the group, and later featured lead singer Darlene Love, the members listed above are the four credited in the description on the back of the “Move On”/”He Promised Me” single sleeve. 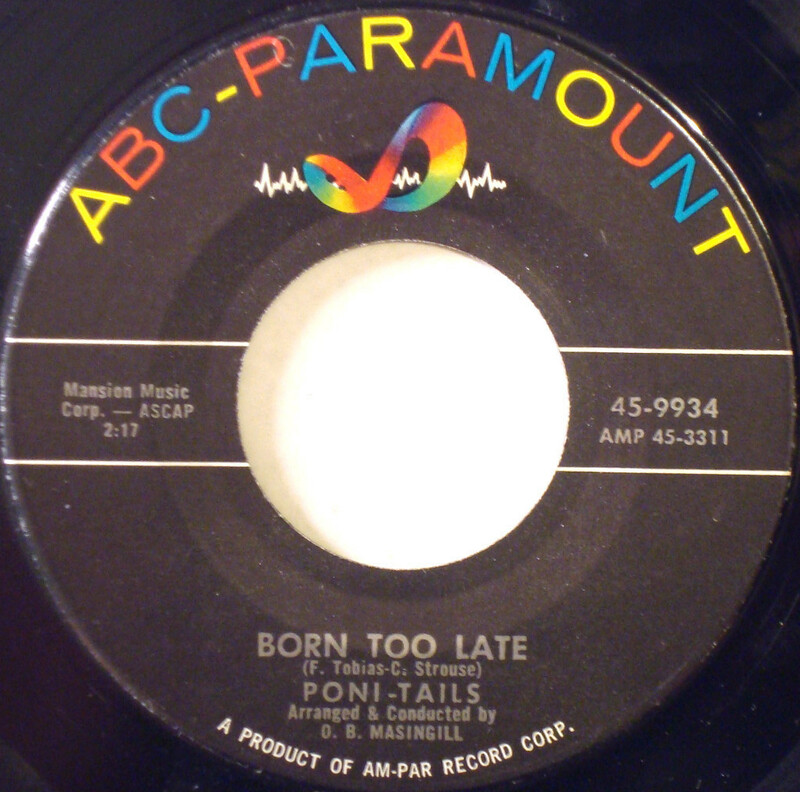 Formed in a suburb of Cleveland, the Poni-Tails – Toni Cistone, Karen Topinka and Patti McCabe – started singing at Brush High School, which they all attended. Tom Ilius, a music publisher, had them signed to local record label Point Records, who released their first single, “Your Wild Heart” b/w “Que la Bozena” (the latter of which was written by the group). “Heart” was covered by the then-15-year-old Joy Layne, and became a nationwide hit. The next release was “Can I Be Sure” on Marc Records, which was not a success; following this release Topinka left the group and was replaced by LaVerne Novak. Soon after this, the group signed to ABC-Paramount and released “Just My Luck to Be Fifteen”, a flop. 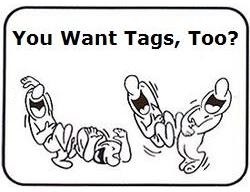 Following this was “Come on Joey, Dance With Me” b/w “Born Too Late”. The B-side caught on at radio and became the group’s biggest hit, reaching #11 on the U.S. R&B singles chart and #7 on the Billboard Hot 100 in 1958. Follow-ups “Seven Minutes In Heaven” (#85 Pop) and “I’ll Be Seeing You” (#87 Pop) fared less well, and their last single, 1960’s “Who, When And Why”, did not chart. I Love You So (Viola Watkins, William Davis)* — This song was recorded by the Crows as the B-side to “Gee,” a 1953 recording which is considered one of the first R&B songs to become a “crossover” pop hit as well. *Songwriting credits: The label of the 1953 Crows record credits Watkins – Davis. That would be Viola Watkins, the singer and pianist whom the Crows had previously sung back-up for on the first recording session for George Goldner’s fledgling Rama Records, and William “Bill” Davis, baritone for The Crows. By 1958, when the Chantels recorded the song, the songwriters were now announced on the label as G. Goldner – S. Norton, meaning label owner and songwriting credit rip-off artist, George Goldner, and lead singer of the Crows, Daniel “Sonny” Norton. That wasn’t the last change. 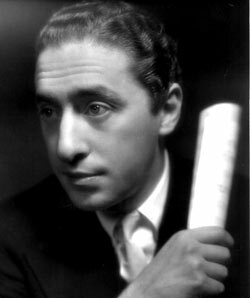 At some point, notorious music industry executive Morris Levy acquired Goldner’s phony songwriting credit. Hence, on the 1990 Rhino label compilation The Best of the Chantels, we’ve got Levy/Norton credited on the back of the album cover. Same song, at least three different pairs of songwriters credited over the years. 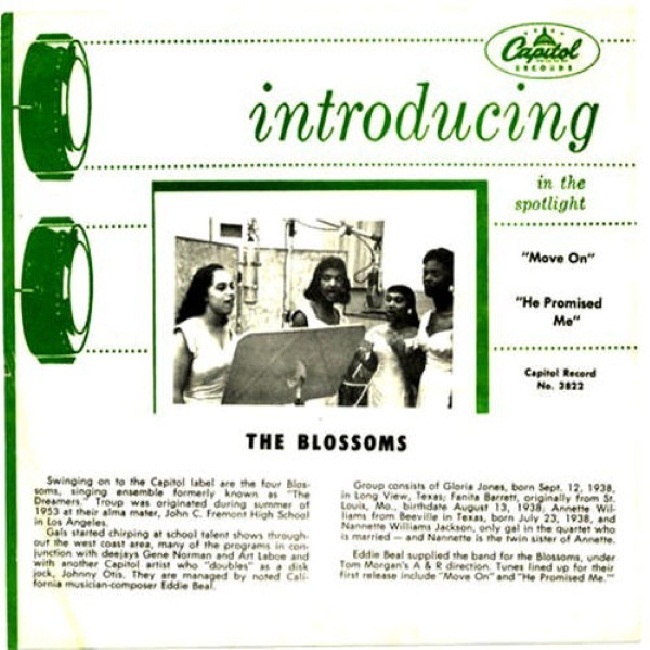 After hearing them sing “I Met Him on a Sunday,” a song they had written for [a talent show at Passaic High School], their classmate Mary Jane Greenberg convinced the reluctant Poquellos to meet with her mother, Florence, the owner of Tiara Records; After several months of avoiding Greenberg and telling her that they were not interested in singing professionally, they were booked to Tiara. 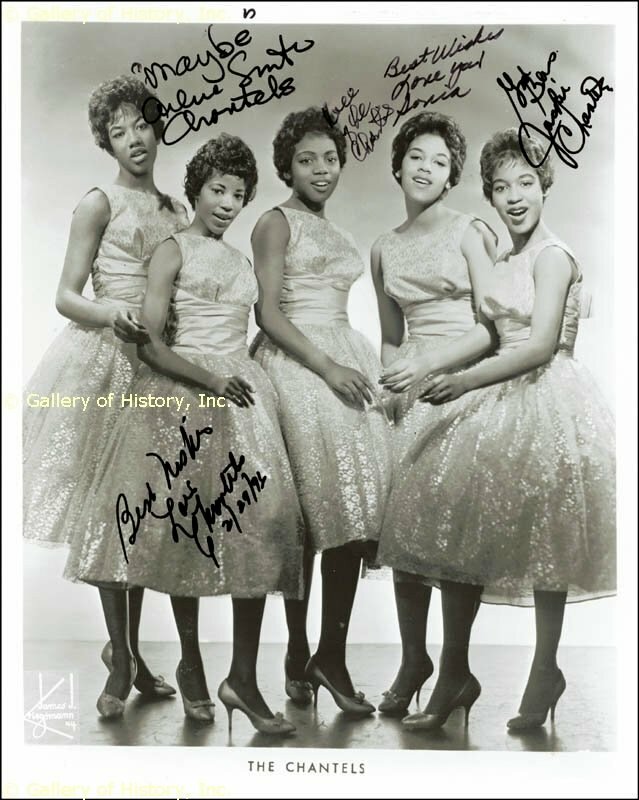 By the end of the year they had changed their name to The Shirelles, a combination of the first syllable of Owens’ given name and -el, reminiscent of then-popular group The Chantels, after briefly using the name The Honeytunes. That year, they released their first song, “I Met Him on a Sunday”; after local success, it was licensed to Decca Records for national broadcast and charted at #50. Lollipop (Beverly Ross, Julius Dixson) — Written in 1958 for the duo Ronald & Ruby, the song was covered most successfully by The Chordettes in the same year. The song originated when Julius Dixon was late for a songwriting session with Beverly Ross. He explained that his daughter had gotten a lollipop stuck in her hair, and that had caused him to be late. Ross was so inspired by the word “lollipop” that she sat down at the piano and produced a version of the song on the spot. Beverly Ross recorded a demo of the song with Ronald Gumm, a 13-year old neighbor of Dixon, under the name Ronald & Ruby. Ross’ mother insisted that she use a pseudonym for safety reasons, because they were an interracial duo. RCA got hold of it and Dixon, who owned the master and had produced the demo, agreed to let them release it. Ronald and Ruby’s version rose up the chart reaching #20. 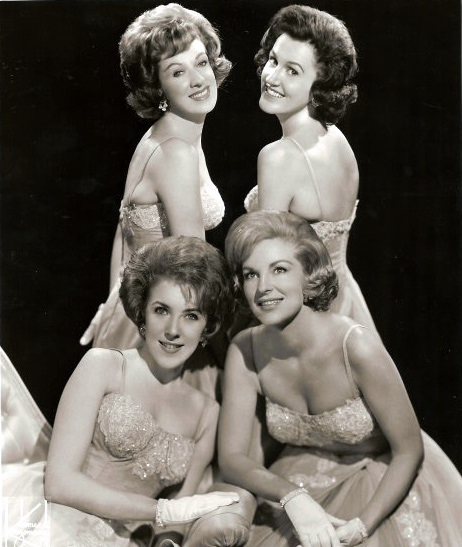 “Lollipop” was then covered in the United States by female vocal quartet The Chordettes whose version reached #2 and #3 on the Billboard pop and R&B charts, respectively. The song became a worldwide hit. The Chordettes’ version reached #6 in the UK, where there was also a cover version by The Mudlarks which made #2. 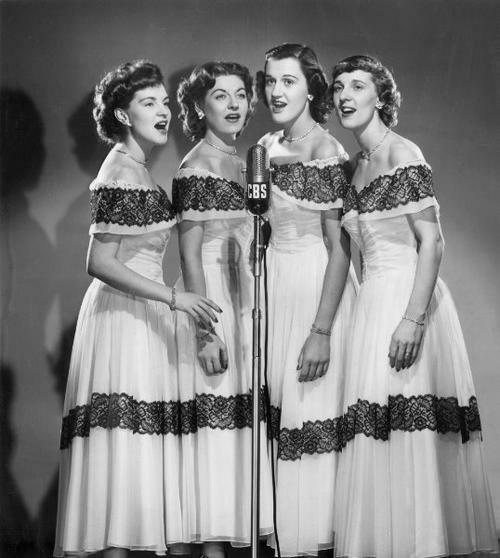 The Chordettes were a female popular singing quartet, usually singing a cappella, and specializing in traditional popular music. The group organized in Sheboygan, Wisconsin, in 1946. The original members of the group were Janet Ertel (1913 – November 4, 1988), Carol Buschmann (her sister-in-law), Dorothy Schwartz, and Jinny Osborn (or Lockard) (April 25, 1928 – May 19, 2003). 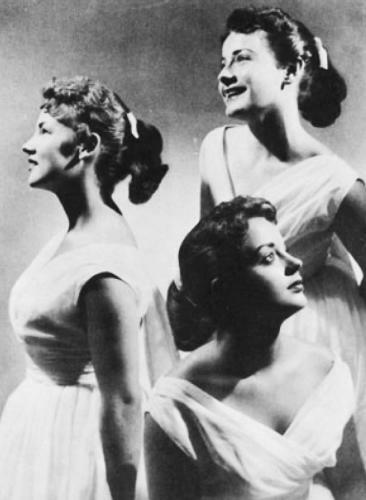 In 1952, Lynn Evans replaced Schwartz, and in 1953, Margie Needham replaced Osborn (who was having a baby), though Osborn later returned to the group. Nancy Overton also was a member of the group at a later time. Originally they sang folk music in the style of The Weavers, but eventually changed to a harmonizing style of the type known as barbershop harmony or close harmony. Pauling was the guitarist of The 5 Royales , the group that recorded the original version of this song, [and] Bass was the producer. 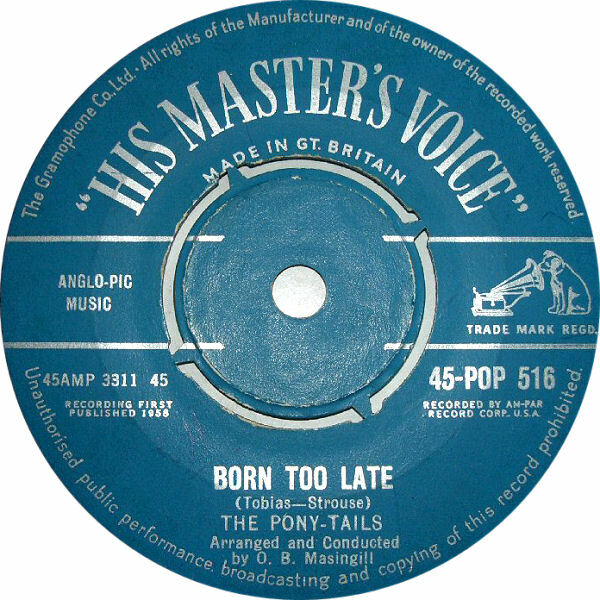 A version by The Shirelles was a minor hit for them in 1959. The 5 Royales saw a re-release of their own version chart at #81 on the Billboard Hot 100 in 1961. Later that year, The Shirelles re-released their version and watched it rocket up the chart to #3. 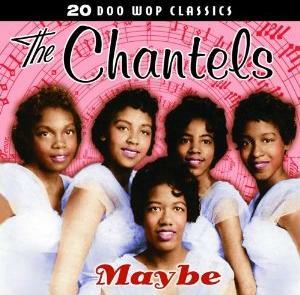 * When the first version of “Maybe” recorded by the Three Degrees was released on Swan Records in February 1966, the sole songwriter credited on the label (see below, right) was now Richard Barrett, who had produced and managed the Chantels, and had also discovered and produced the Three Degrees. Among other artists to record the song are the Shangri-Las (1964 release), Chuck Jackson & Maxine Brown (1967), Janis Joplin (1969), and Reparata and the Delrons (1970).